Spending time on the right things saves us energy and resources. It also helps us feel more accomplished and worthy. Wasting time on the unnecessary things can affect our future and happiness. Take a look at things you should spend time on, and things you shouldn't. Spend time with your loved ones. Do things that you like to. Spending time on fruitless things like gossiping or complaining or in the company of people you dislike, is a sheer waste of time and energy. Perhaps, time is the most precious thing in the world. Once lost, it can never be found. It's important to manage it well and put it to good use. We shouldn't spend time on things that are futile or of less importance to us. Time should be spent on things that make us happy, with people we like, and on anything that enriches us and our life. Time is precious. The sooner we realize this, the better. Here, we give you some things that you should spend time on, and things you should avoid giving time to (they include unproductive activities that do you no good). Meditating restores mental calm. It gives you time to connect with your inner self. You get time to focus on your goals and reflect on your living. It calms the mind and body, drives the negativity away, and makes you happy. Spend some time alone, with yourself. It helps you clear your mind, balance your thoughts and emotions, and understand the meaning of life. Spending time with yourself helps you discover who you really are. It helps you know your strengths and weaknesses, reflecting on which you can improve yourself. Make it a habit, we say. There is nothing more productive than reading. It makes you aware of yourself and your surroundings. It gives you immense knowledge and also entertains you to the core. It helps relieve stress and also enriches you as a person. Write your experiences, write on what you feel about life, write whatever comes to your mind. Write about yourself or about people you meet. Write on things that make you happy and on things that make you sad or angry. Take some time out daily to write. Writing is an invaluable way of increasing your thinking ability, your imagination power and broaden your mind. Health is wealth, and we all know this. It is because of our fit body that we can do all the things we do everyday. It is important to spend some time daily on taking care of our body. It includes daily habits like brushing and cleaning, as also regular exercise and healthy eating. Your family should be your priority. It is the greatest support system in life. 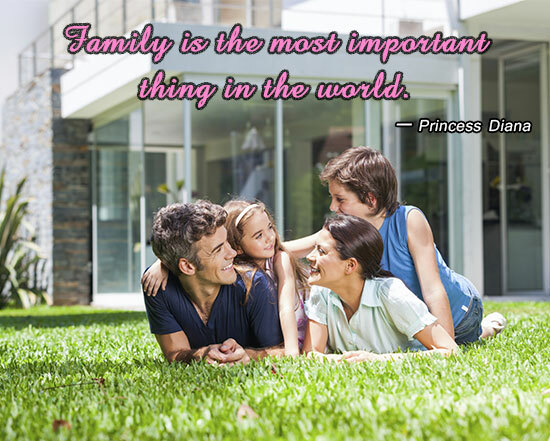 Spend some quality time with your family, everyday. Share your problems, happiness and responsibilities with them. Talk about the day, have dinner together, go for outings, attend social gatherings, and celebrate festivals together. Spending time with your near ones is very enriching. 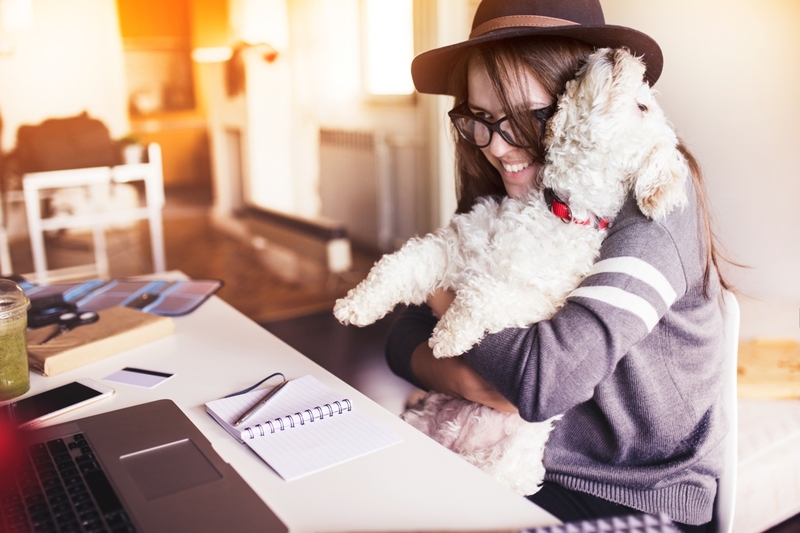 Owning a pet is known to reduce stress. Do spend time with your pets. The unconditional love you get from animals is worth all the time you spend with them. Sleeping at least for eight hours every night improves your concentration, work performance and decision-making abilities. Sleep is essential for a healthy body and mind. 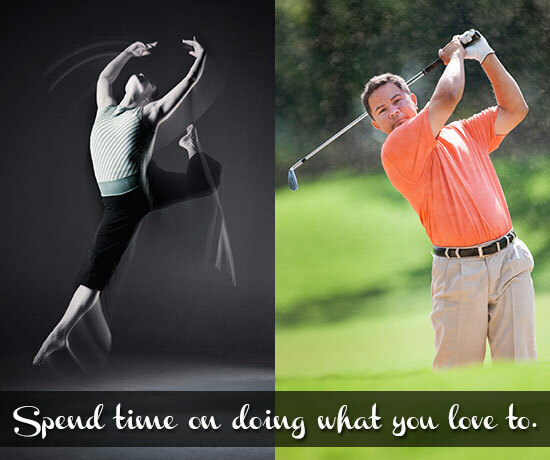 Take some time out daily to engage in something you love to do. It could be cooking, dancing, playing a sport, listening to music, or any such activity that gives you pleasure. These activities prove to be the best stress busters. Playing any kind of sport keeps your body fit and also relieves mental stress. A game of your favorite sport energizes you again, after a tiring day at work. It is a good way to start your day, as it is a combination of exercise and fun. If it's a team sport, it can be played with your family or friends, thus giving you a chance to socialize. Go out in the open and take in fresh air. Watch the rising sun, feel the morning breeze, take a walk in nature. It makes you feel fresh and positive. Learn something new whenever you get a chance to. Take each day of your life as a new experience. Life is meant to continue searching and discover new things. The urge to learn something new keeps the boredom away. Take up a course in something you wanted to learn, which could be music, cooking, swimming, horse riding, photography, a new language or dancing. This is a good way to enhance yourself and also discover a new you. 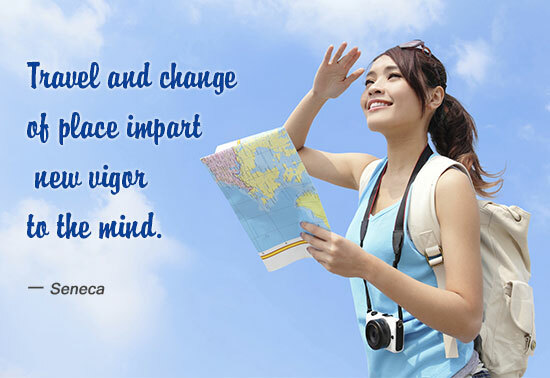 Traveling to new places increases your knowledge, broadens your mind, and makes you understand what there is more to life. It gives you a glimpse of different cultures and countries, and with every journey, you create memories to cherish for life. It's good to spend some time on thinking of the good things in the past. Spend time thinking of all the good things that happened to you, the nice people that you met, the positive changes that you brought in yourself, and all the little joys that came your way. Go through old photographs, letters, or your own diary. Think of your achievements, small or big. Remembering good things will give you immense pleasure and joy, and make you feel positive. Always spend time with positive people. They motivate you, guide you, and lead you in the right direction. In their company, you get a positive vibe. They are the people who put a smile on your face, they are those whose company you enjoy. They are the ones you should spend time with. Laughing is a great stress buster and good for health too. Laugh often by sharing jokes, reminiscing funny moments or by staying with people who are humorous. Those who laugh more are known to live longer and happier lives. So, some time spent laughing is surely worth it. Take time to figure out how you are spending money and what your expenses are. Plan for a secure financial future. Know what you have, what you should invest in, and what you should not spend on, in order to have a secure future for yourself and your family. Don't expect too much from others. Don't spend time thinking of what you expected from someone and how or why he did not behave as you wanted him to. Expecting things to happen to you or expecting them from others only makes you wait. It is fruitless to keep waiting doing nothing. Instead, go ahead and make things happen to you. Stop dwelling on the past. It is futile to think and analyze something that has already happened. Your past can sure give you lessons, but thinking about it all the time is a sheer waste of time. Instead, live in the present because your present will shape your future. Don't compare yourself with others. Do not spend time thinking about what others have and you don't. You are unique in your own way and you cannot be compared with anyone else in this world. Realize what you have and learn to appreciate it. Don't spend time on criticizing yourself or putting yourself down. This will make you feel discouraged. Be positive, and think of how you can improve yourself rather than cursing yourself for your mistakes. Do not spend too much time on materialistic things. Running behind them or making their possession the sole aim in life will not take you anywhere. It may feel great to have those things but they will have less importance in the long run. 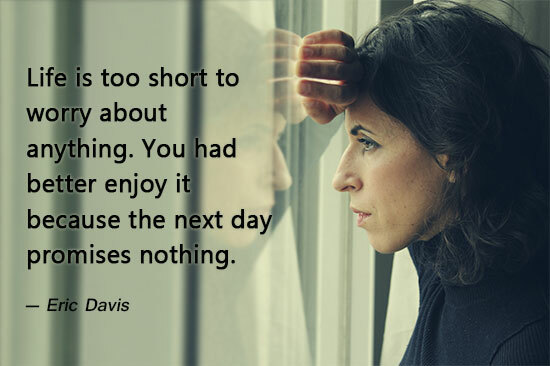 Instead, spend time on experiencing life and enjoying little moments. Thinking negatively will have a negative influence on your day-to-day activities. Negative thoughts will take all your enthusiasm away. They will not let you focus on your goals. Your self-esteem will dip, your confidence levels will be low, and you won't feel happy. Don't entertain any negative thoughts in your mind. Stop discussing others' lives. 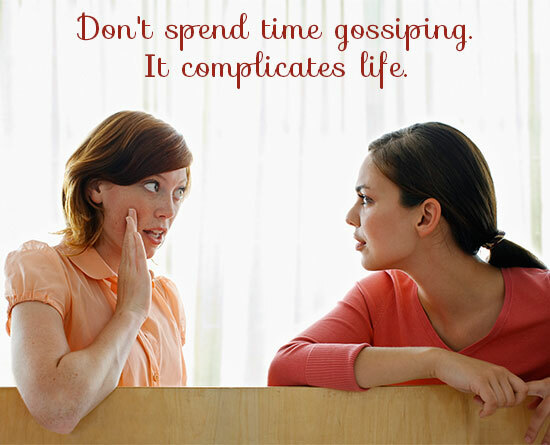 Gossiping can only complicate your life. It fatigues you and proves to be a waste of time. Knowing what's going on in other people's lives is not going to help you in any way. It may only distract you from your goals. Also, gossiping leads to a lot of negativity. Avoid spending time on gossip; there are better things you can do. 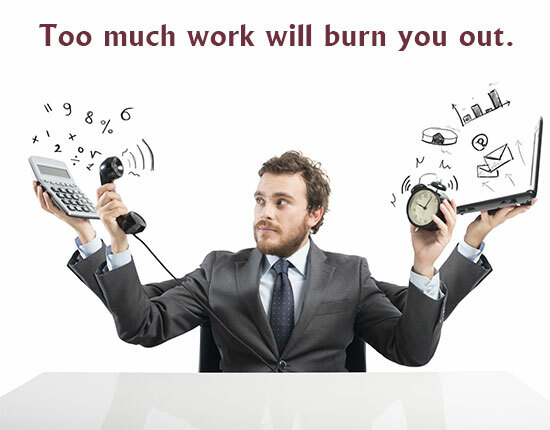 Avoid burying yourself under too many tasks. It is important to balance your work and life. Learn how to prioritize things and don't take the responsibility of more than what you can handle. That way, none of the tasks will be done well and you will only be stressed out. Do not waste your precious time in dating someone who is not right for you. Life is too short. Don't waste time on things you dislike or are unnecessary. Stop worrying about your problems. Instead, start thinking about their solutions. This will help you overcome difficulties in a better way. Life is too short to hold grudges. Be forgiving, try to forget things that trouble you, bring positivity in your life, and be at peace with yourself. Complaining about things will not get you anywhere. Count your blessings and be happy with what you have. Avoid spending your time and money in buying unnecessary things. Instead, buy things that you really need. Eating unhealthy, sleeping late, not exercising, and taking to drinking or smoking are some bad habits that will only spoil your health. 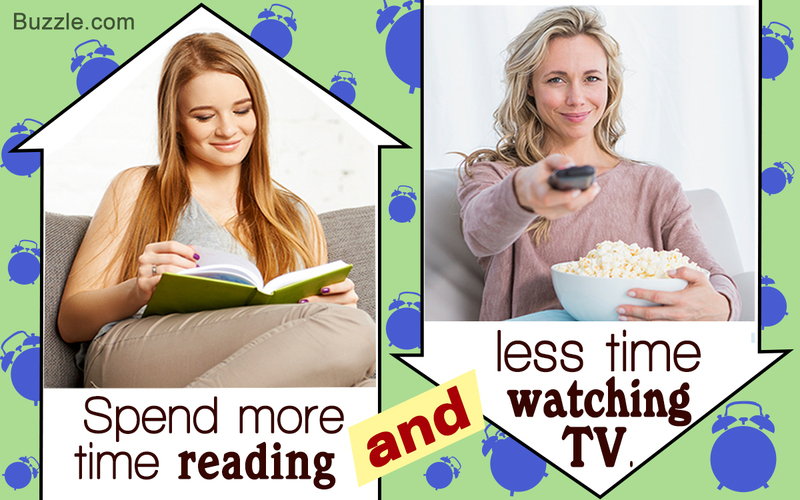 Also, avoid spending too much time watching TV, playing video games, on the phone, or online. Habits like these are detrimental to your well-being. Stay away from them. Well, this was our list of things you should do and things you should not. Time is priceless, spend it wisely.